The thing which we are about to discuss is by no means for the faint of stomach. Back away from all things globular in your lunch and turn off your “ugh” receptors. There’s a 15-ton fatberg heading our way and if we don’t hit this thing just right, we’re all going down. Side note: Is 101 years too soon for Titanic jokes? Remember how we told you not to flush disposable wipes down the toilet, because they gum up the waterworks? In the case of London’s fatberg — a ginormous lump of fat, wipes and “other debris” — the lumbering glob of grossness is any sewer system worker’s biggest, grodiest nightmare. Thames Water says it’s the biggest fatberg ever recorded in Britain, which brings to mind the very real fact that there have been other fatbergs. The Associated Press quotesThames Water as calling the 15-tons of congealed goo enough “wrongly flushed festering food fat mixed with wet wipes” to fill a double-decker bus such as the famous London Routemaster. The utility company must remain constantly on the lookout due to the many households using oil, food fat and flushing wipes. 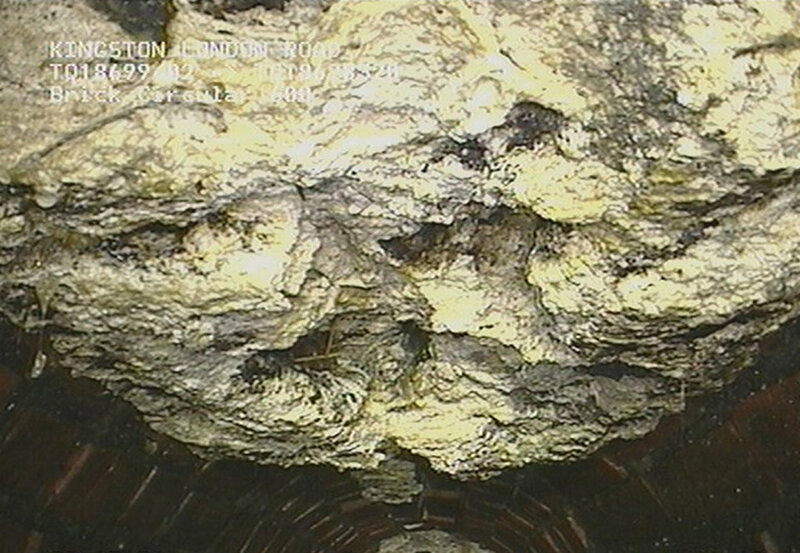 With 67,000 miles of sewer pipes, there’s a chance for a fatberg to surface at every turn. This puppy took about six months to reach its Jabba the Hutt proportions, and was only discovered after residents realized they couldn’t flush their toilets. Jabba plugged up the sewer to the point where it was only using 5% of its normal capacity, and damaged the sewers so badly it’ll take weeks to fix them. “It’s very lucky we caught this one,” said a spokesman for Thames Water, encouraging consumers to think about what they flush before they flush it. Unless you want The Blob crawling up out of the loo to grab you.